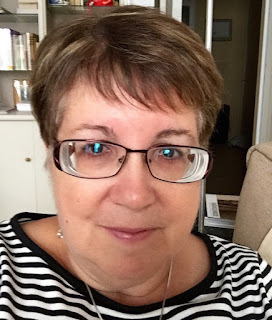 Hi everyone and welcome to our monthly guest designer post featuring designers who were our pinworthies from a previous challenge. Today we welcome Branka, Sara Emily and Maura who were chosen by the Vintage Journey team for their wonderful creations for our Spring is in the Air Challenge. Today they have created their designs for our current theme - Monochromatic. 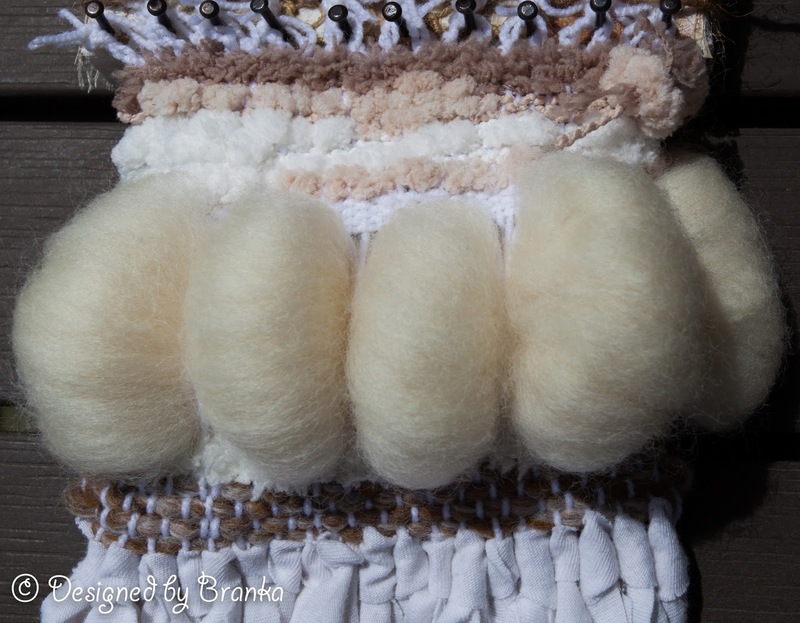 Hi, I am Branka (aka Vintage Handmade) and I come from Croatia. I am a mother of two amazing children and a wife of a wonderful husband. 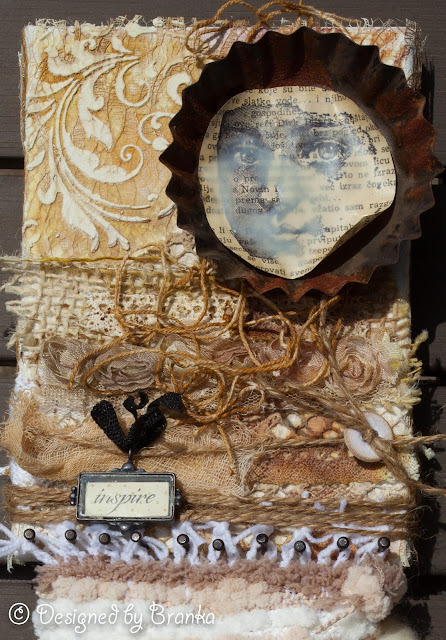 I have been crafting since my childhood and after a lot of experimenting I fell into mixed media art and art journaling. My style is rather eclectic, trying to express myself in different styles, playing with different mediums, techniques and materials. I am delighted to be invited to guest design on the AVJ blog for their current challenge hosted by amazing and lovely Tracy and this is what I came up with, inspired by her awesome Monochromatic theme! I decided to go with a vintage style and to use brown tones. 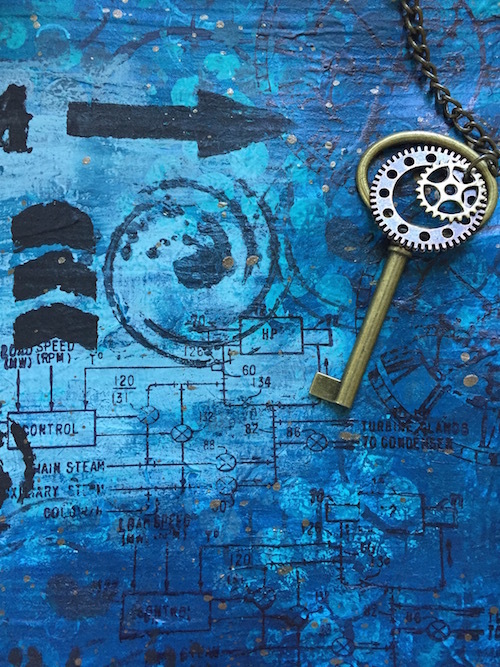 Since I adore rust I added a vintage tin baking mold rusted by using Decoart chalk finish paints in brown tones. I sprinkled some cinnamon in a few spots to achieve a more realistic rusted look. Here is a close up of the rusted mold. Also, I stamped an image using one of my LaBlanche stamps on a piece of an old book paper, applied a coat of Tim Holtz's Distress Vintage medium and used my bees wax on top. I cut the image and glued down in the center of my rusted mold. 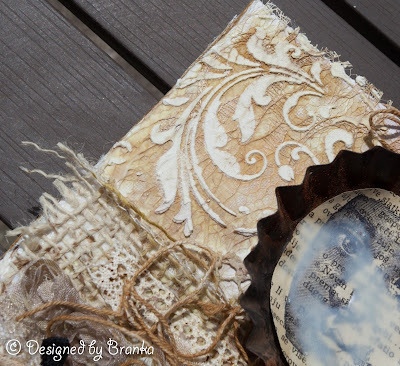 I like to create rich textures so I used a piece of lace on my background, some of my Distress spray stains in brown tones and then I used my Golden crackle paste and one of the Tim Holtz's stencils on top. I also added some burlap, a piece of gauze, some lace trims and some cotton and burlap twines to create more textures. Then I used my Distress spray stains again on top of it. 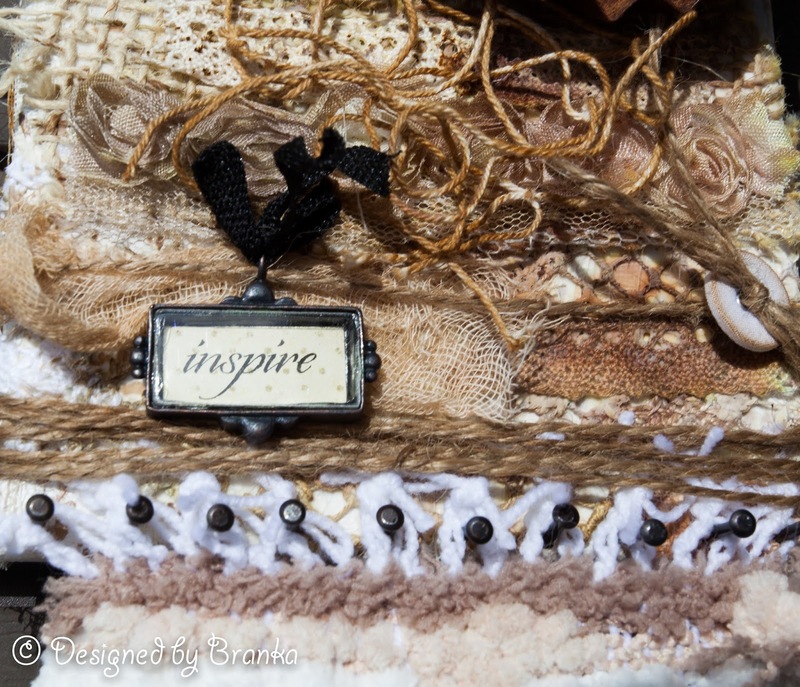 That Prima metal trinket with the word Inspired is a gift from my lovely blog friend and a wonderful teamie. I like to wave lately so I decided to create a monochromatic woven piece in brown tones. I used some small nails to attach the piece to my canvas. I like how this turned out. 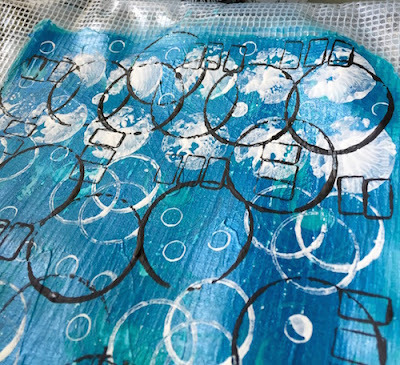 I hope I have inspired you to create your monochromatic mixed media piece and to join in AVJ's wonderful challenge this month. 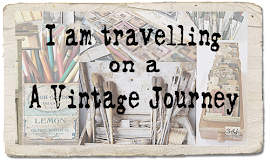 If you would like to see how I created my piece you can visit my blog. Thank you AVJ for such an amazing opportunity to share my monochromatic creation here today! I am truly honored! 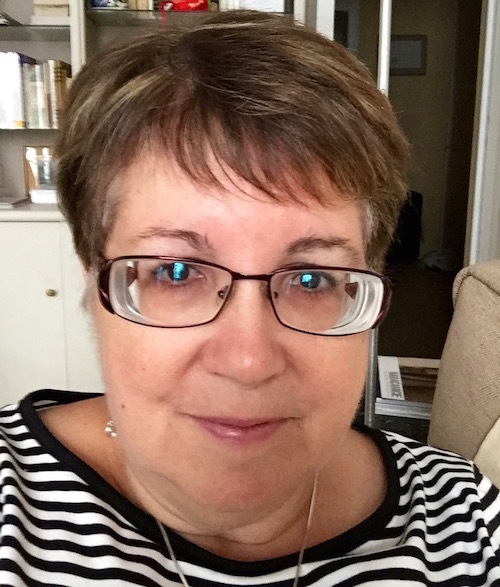 Hi, I'm Maura Hibbitts and I am delighted to be a guest designer here at AVJ! I recently retired from teaching science (left brain) and have jumped into the deep end of my right brain with mixed media and crafting. I have been a crafter since I was a little kid: drawing, making sculptures out of natural finds, holiday ornaments...and have been playing and creating ever since. I love learning new techniques and playing with new materials. One of my favorite genres to work in is steampunk, which is where I headed with my project. 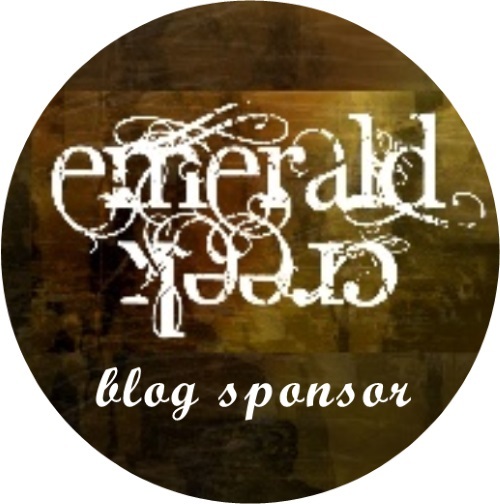 I would love for you to stop by my blog for a visit! 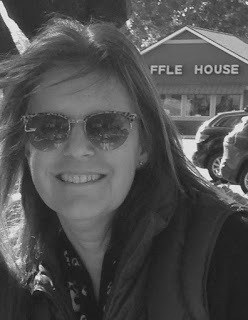 Ok, now on to my project inspired by the lovely and talented Tracy and her monochromatic theme! Working in one color is a personal challenge, as I love colors! How do you decide on just one? Well, I looked through my stash and found a lot of paint in the blue hues, so blue it is. It all started with a mesh art bag, and I wondered if I could personalize it in my own style? I laid down a layer of gesso and got to work. I have quite a collection of ordinary objects that I love to use for mark making, like bubble wrap, bottle caps, straws, corks...once you start doing this, believe me, you don't look at those little throwaways the same anymore! I spread some paint out, dipped them in and started making marks. Usually when I start layering, I build some areas up vertically, but with a bag, I had to treat this differently in order to keep it useable. So, instead I created layers with different colors of paints, stencils, marks and stamps. I really liked how this abstract pattern turned out! 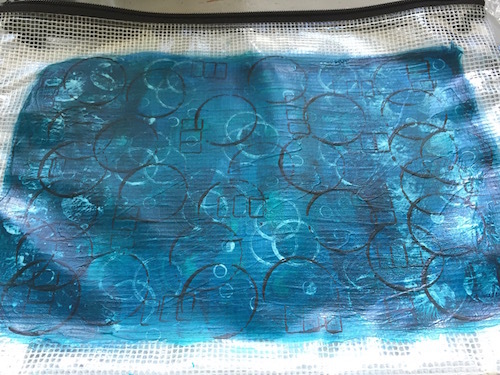 But, I have to keep this monochromatic which is easy enough with just a few more layers of blue hues, and some bubble wrap stamping. 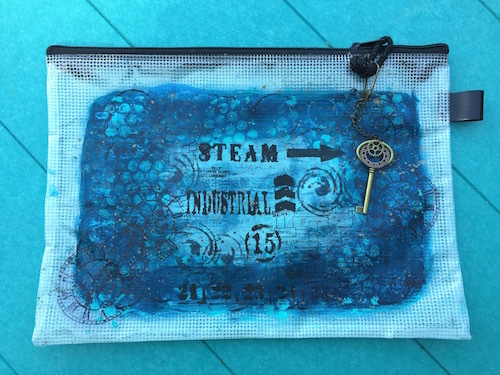 Then I went in and smudged some areas to create a more muted background for some of my steampunk stamping and stenciling and to create a focal area on the bag. I had to add a fun charm to open my bag, and the key and gears add the right touch. If you look closely, you'll see I couldn't resist adding a bit of metallic splatters to the bag, after all in my mind steampunk needs to have some metal. 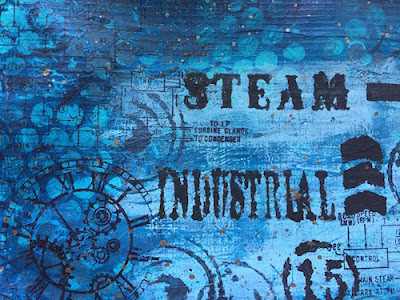 Now I have an industrial steampunk art bag in beautiful blue hues to use. I hope you have enjoyed my project and if you would like to see the step by step details and products I used, you can find that here. Thank you AVJ for this wonderful opportunity to share one of my creations, I am truly honored! Hello! My name is Sara Emily, and I live on the middle eastern coast of the United States. I am married and have twins, and by the time this goes to post they will have celebrated their 18th birthday! (yikes!) I have been a crafter for a very long time. I can't say I have a particular style, but I will try anything once! Lately, I have been bouncing back and forth between vintage grunge and shabby chic, so for today's project I chose to make a shabby monochromatic canvas. 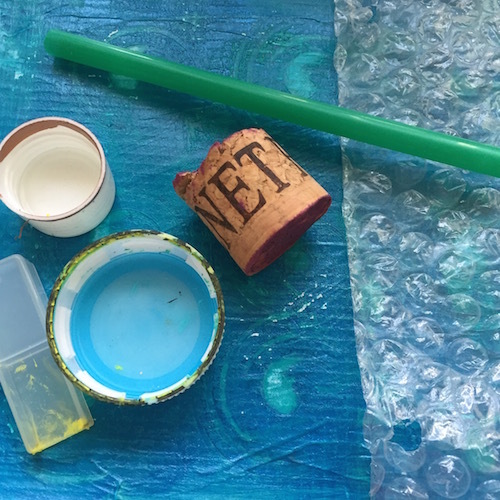 I chose shades of turquoise because it makes me feel cool on these hot summer days! 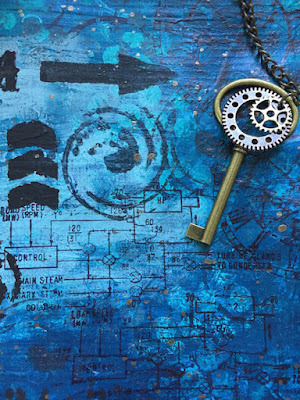 I chose a stretched 6 x 6 canvas, and began by adding my newest Tim Holtz Thinlits Mixed Media #2 die at the bottom and used the corresponding stencil with Golden Crackle paste at the top. I've been having a bit of a time with this particular (new) jar not crackling, but when I added paint and hit it with the heat gun, voila! Cracks! I think it must be the air conditioning, or perhaps I'm not holding my mouth just right! Many steps later, I finally got the background to look like this. Unfortunately, due to having to add gesso back on top of my paint layer, the cracks got lost! I used Distress paint, water, alcohol and guache to achieve my end result--oh--and some gesso scraped over the Distress paint, because at first it was too bold for my liking. I got to use my new Tammy Tutterow Shabby Posies die to make my flowers, and also some old Tim Holtz standby's--Tattered Florals and Tattered Flower Garland--for good measure. I chose a few embellishments from my stash--some of them very old--perhaps you recognize a few from your own stash if you're a hoarder like me! 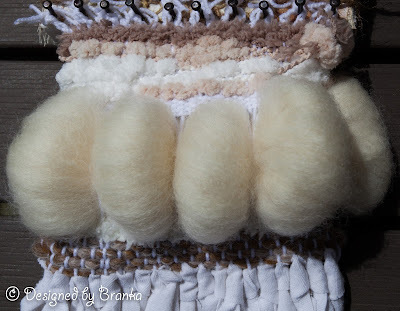 If you would like to see close ups and a few step by step photos, please drop by my blog. 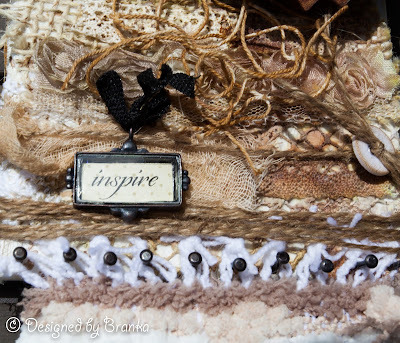 I hope you will be inspired to link up with Tracy's awesome "Monochromatic" challenge this month. 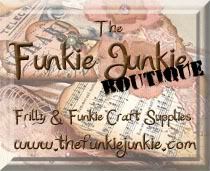 I would like to thank Nikki and all of the Creative Guides for inviting me to join them as Guest Designer today! You ladies rock! What a stunning set of projects! Thank you all so much for creating these for us. I hope this inspires you to try a little monochromatic crafting too - do join us for our current challenge which runs until August 4th. Oh gosh all your pieces are stunning! Great work! Fabulous monochromatic creations by your all Branka, Maura and Sara Emily . Thank you so much for sharing your talent with us today here at AVJ. I always look forward to seeing the inspiration offered up by our deserved pinworthies . WOW great projects, love them all, thank you for the inspirations, Ladies! Stunning projects from all our Pinworthies. I can clearly see a lot of love and fantastic creativity has been poured into all your designs. Isn't it so amazing how each one did such incredible inspirations in such different ways???!!! That's what art is all about. WHAT A TREAT - thanks bunches to all three of you for such BRILLIANT creativity. Xj. I'm back from a vacation with no internet, so I'm playing catch up! 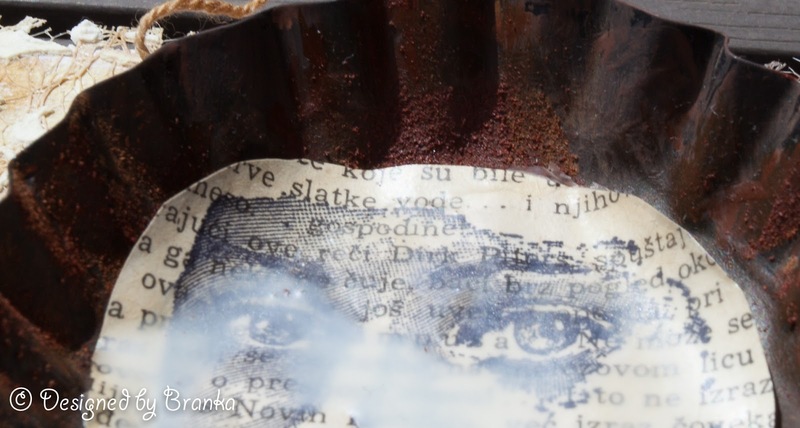 what a delight to see Branka's and Maura's wonderful, creative monochrome projects! Thank you ladies for such lovely comments! And thank you, once again, to the Creative Guides for having me as one of the guests! Hugs!